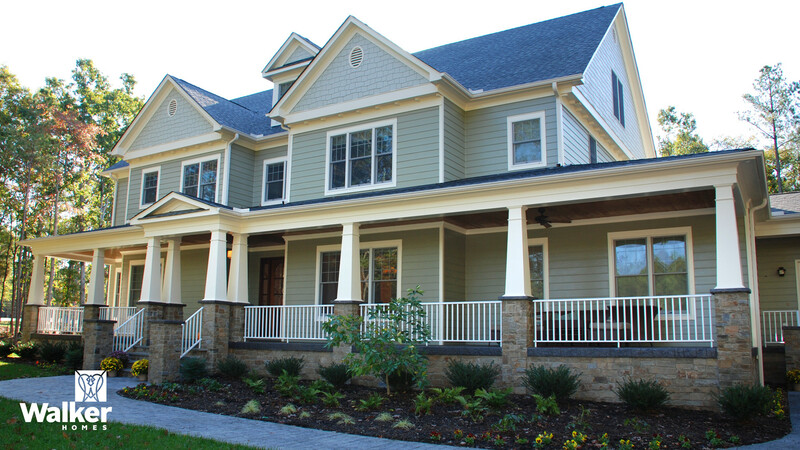 A fully custom Walker Home can have any type of floor plan and facade in any style you choose. We can build from your plan or you can work with one of our architects to design something that includes the architectural features, materials, and technologies you envision. 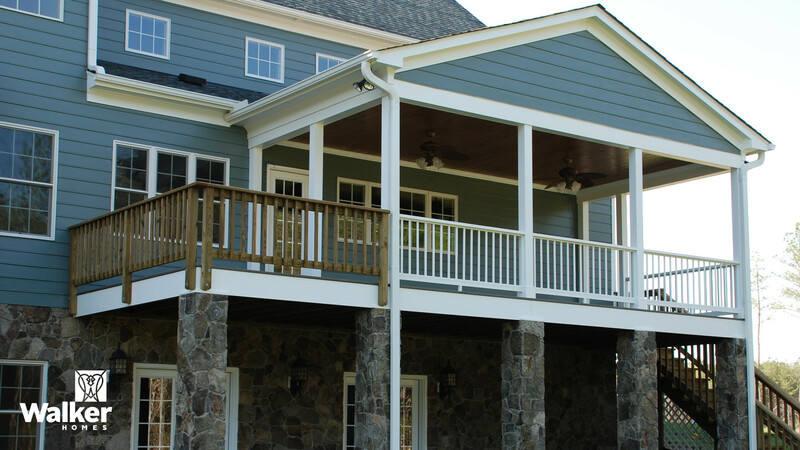 Following is a small sampling of the 300-plus custom homes we have built in Glen Allen, Ashland, and Henrico and Hanover Counties. We can design an elevation to express your style. 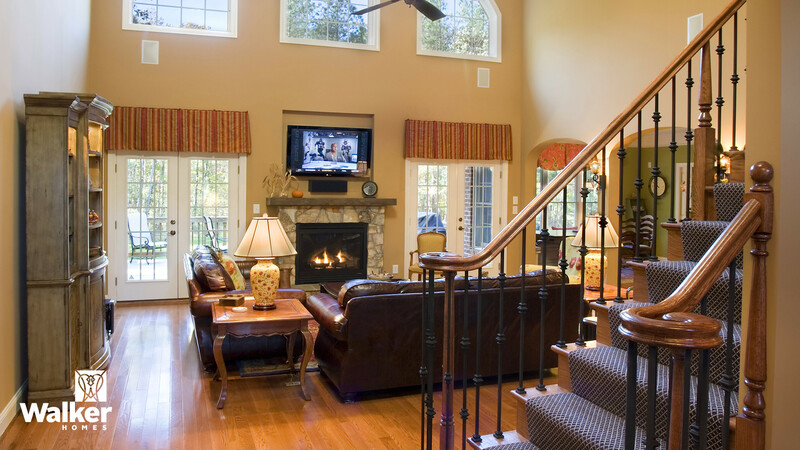 Is your style a two story Great Room or a cozy single story Living Room? Or both? 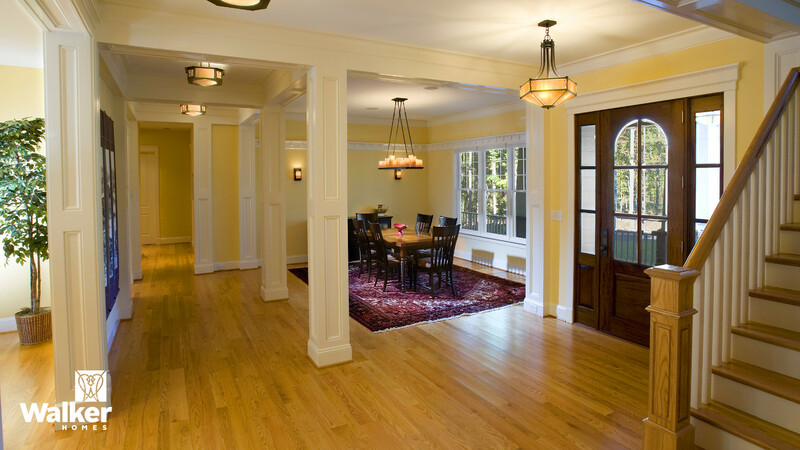 We can define spaces with walls, columns, archways, flooring, and so on. 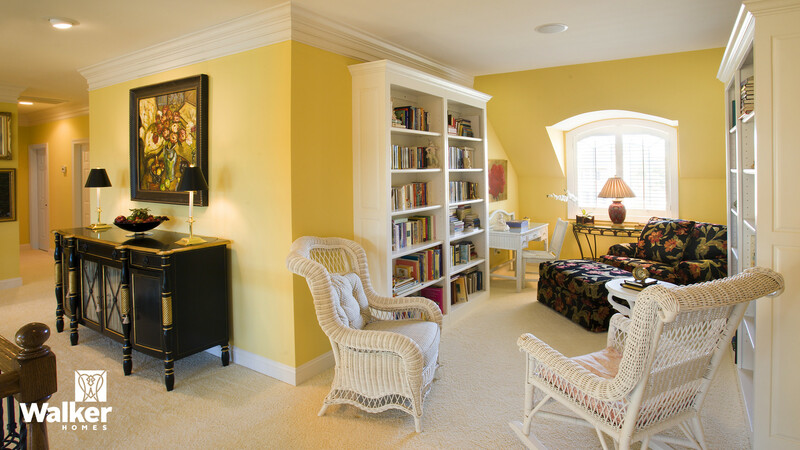 This client fashioned their upstairs Foyer as a Reading Nook. 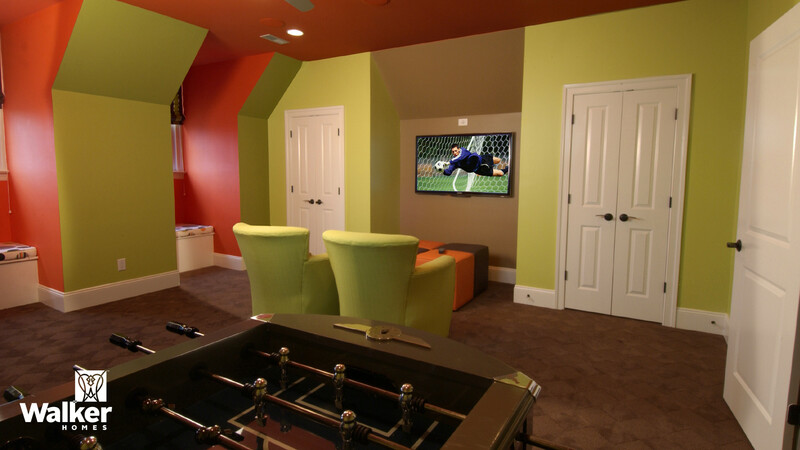 Does your style include a Game Room for your time off or for entertaining? 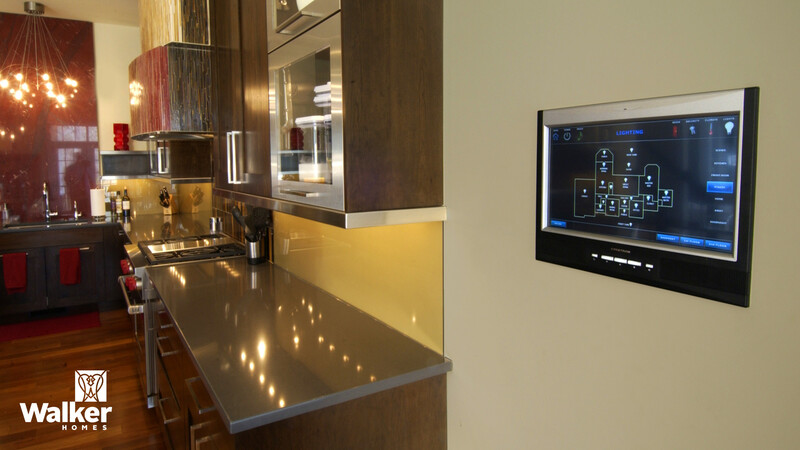 This custom Kitchen includes a smart home control center, wood and stainless steel cabinetry, glass backsplashes, a waterfall tile range hood, and a striking burgundy granite slab focal point. 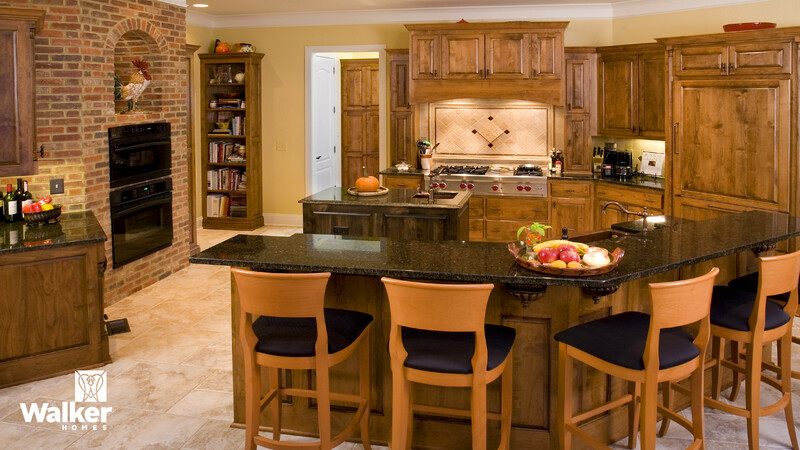 This Kitchen features a recessed “chicken coop” in a brick surround, a ceramic tile floor, and a counter-depth refrigerator with matching wood paneled door. (Left) This Dining Room showcases a unique copper-clad, domed ceiling that amplifies the sound of diner conversations. 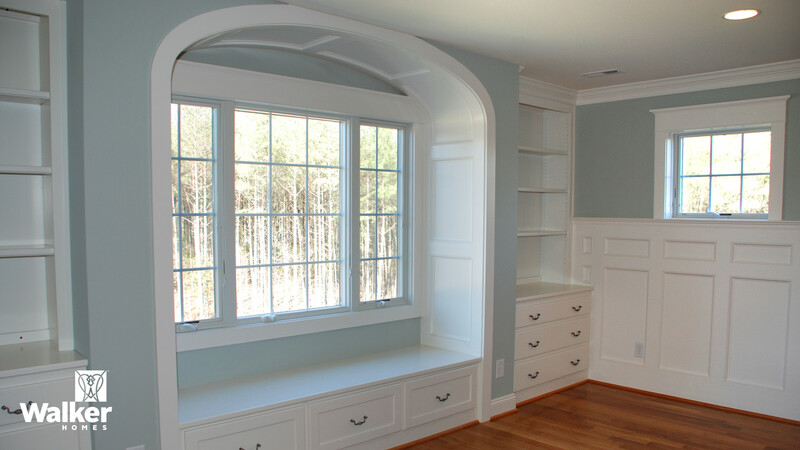 (Right) This Home Office features built in bookcases, a dramatic tray ceiling, and circle top windows. This Master Bedroom features extensive custom cabinetry and millwork including a bench seat, awning style windows (hinged at the top), and wainscoting. 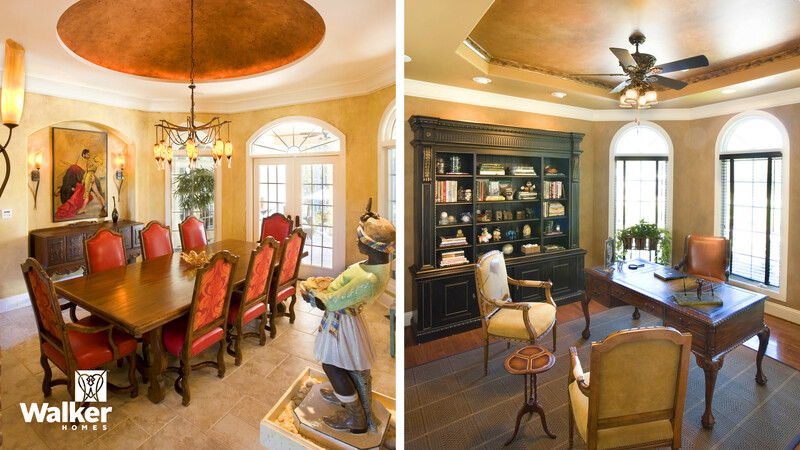 (Left) This elaborately trimmed Dining Room features a beamed coffered ceiling. 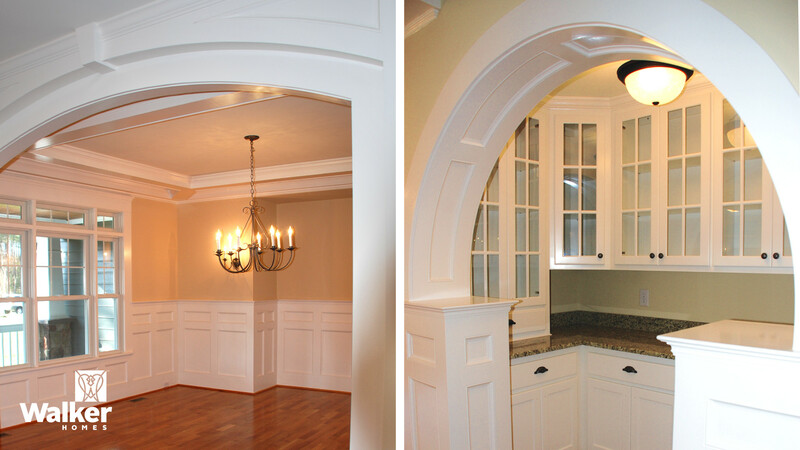 (Right) This Butler’s Pantry features a dramatic arched case opening. 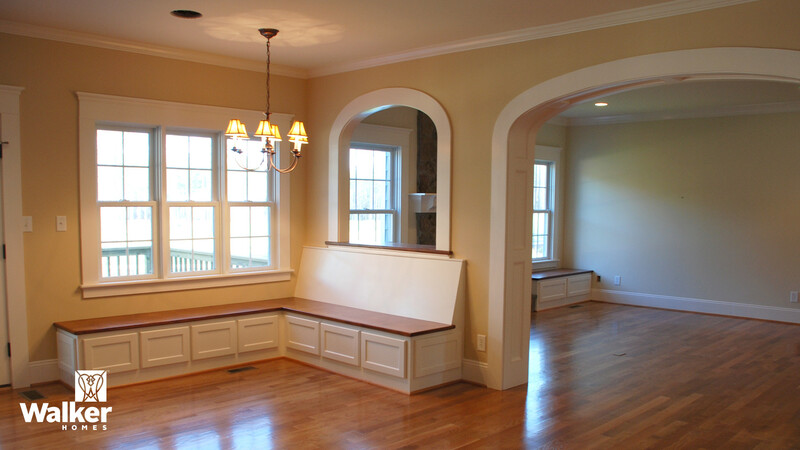 This Breakfast Alcove with benched seating is finished and ready for a table. This home office features angular walls and built ins. 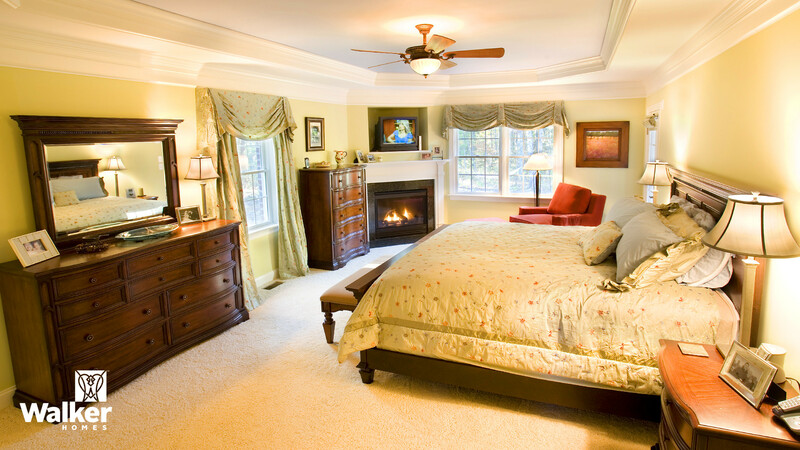 This first floor Master Bedroom boasts a tray ceiling and a corner fireplace. 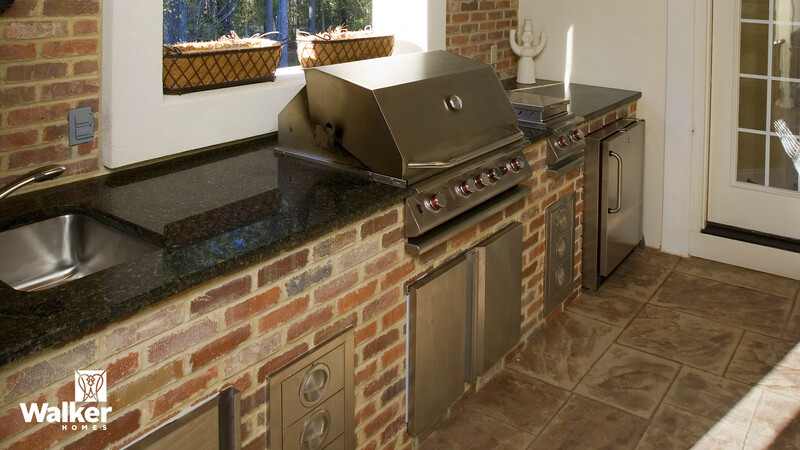 In addition to a barbecue grill, this Outdoor Kitchen features a sauce cooker, refrigerator, and sink plus a rustic stamped concrete floor. This Covered Porch features a cedar tongue and groove ceiling, elliptical transoms above the doors, and a rustic, stamped concrete floor. 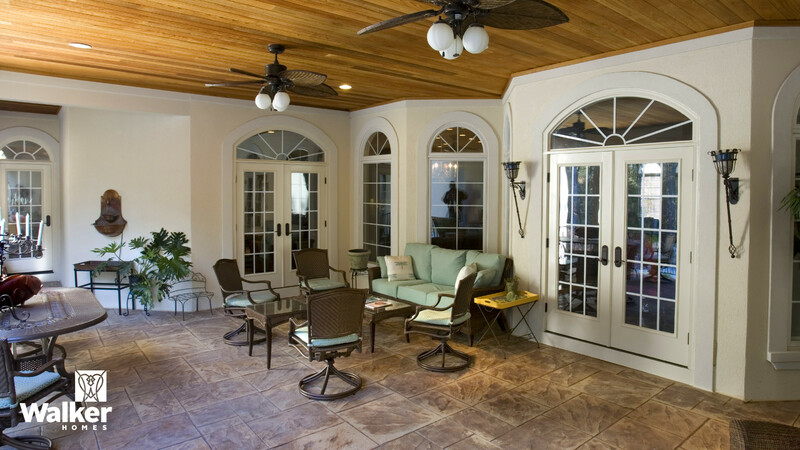 A simple Covered Porch with cedar ceiling adjoins a more conventional Deck.